The debates at various US forums in the second half of the 20th century and the beginning of this one, as well as expert publications on the subject, show that Washington sees the situation as a serious threat both to itself and to its NATO allies. In November 2018, the weekly magazine Jane’s Defence Weekly published a detailed and alarmist article entitled “Strategic Impact” about the six new types of Russian strike weapons that Russian president Vladimir Putin announced in his address to the Federal Assembly in March of the same year. In December 2018, it was expressly stated in the US Government Accountability Office that the United States lacks the defences needed to protect itself against Russian and Chinese hypersonic weapons. In an article published in early January 2019 in the online edition of The Hill, retired Major General Howard Thompson, a former chief of staff for the US Northern Command, talks about “fourth dimension” weapons, which he believes have already been mastered by Russia and China. He also notes with concern that both countries have long been developing such weapons. By way of example, he referred to the recent flight test of a Russian hypersonic glide vehicle known as the Avangard, which official reports say reached 27 times the speed of sound. This means that the object was moving at a speed of over 30,000 km/hour. America is also concerned about Beijing’s capabilities in this area. As noted by Howard Thompson, China is also proving itself in its attempts to reach a similar level of high-tech weapons. According to Undersecretary of Defense for Research and Engineering Dr Mike Griffin, Beijing has conducted “more tests in the past year than the United States has conducted over the past decade”. As well as acknowledging the fact that the US is lagging far behind Russia and China in this area and urging the country to catch up, Washington is also thinking about how convenient it would be to force Moscow and Beijing to abandon their success or, at the very least, to slow down the further development of emerging high-precision hypersonic systems. Various information-based, demonstration, and diplomatic techniques have been used to accomplish this aim. 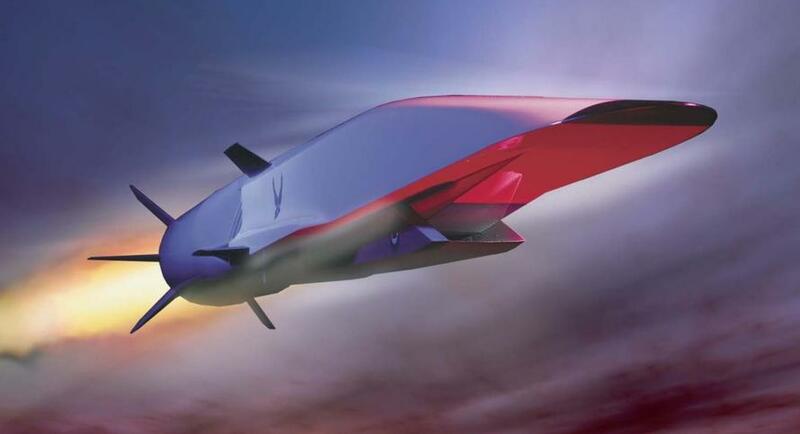 It was deliberately leaked to the US media that the US Air Force is working on the development of a hypersonic glider that will allegedly be able to travel five times faster than the speed of sound, and that the US Army is planning to adopt a similar platform, called the Advanced Hypersonic Weapon, which will have a slightly shorter flight range. As was pointed out, however, these developments are still far from complete. It is clear that the Pentagon was simply trying to make an impression on China and Russia last year when the US Navy tested around 20 hyper velocity projectiles it is planning to use with both ground and naval artillery systems. American engineers behind the technology were unable to attract even the attention of experts at the US Naval Institute, however, since such projectiles only approach the speed of hypersonic flight or slightly exceed it. With regard to Russia, there was a naive proposal in 2018 that the United States would scrupulously adhere to the INF Treaty if Russia abandoned its Avangard hypersonic glide vehicle. It is too late, however, since Moscow will not now give up a system on the development of which America has been lagging behind for decades. It is too late to try and rectify the complicated situation that the United States now finds itself in, by its own doing, after withdrawing from the Anti-Ballistic Missile Treaty in 2002 and beginning an uncontrolled build-up of anti-missile weapons along with the deployment of strike components and surveillance and reporting systems on the borders of Russia and its allies. It is too late when the US has already decided to completely overhaul and modernise its strategic and tactical nuclear weapons while maintaining its first-strike strategy against Russia and China. It is too late given that the United States and its NATO allies have unjustifiably started to increase the number of heavy conventional weapons and the number of military exercises and manoeuvres on Russia’s borders. It is also extremely one-sided, because Washington should simply abide by the INF Treaty in full without any artificial links or unrelated clauses if it still somehow considers the treaty to be important in the sphere of arms control. It is one-sided because Russia’s Avangard hypersonic glide vehicle does not fall under the restrictions of this open-ended treaty, despite America’s vain efforts to try and shoe horn it in. In fact, it will enter into service with the Russian Armed Forces this year. 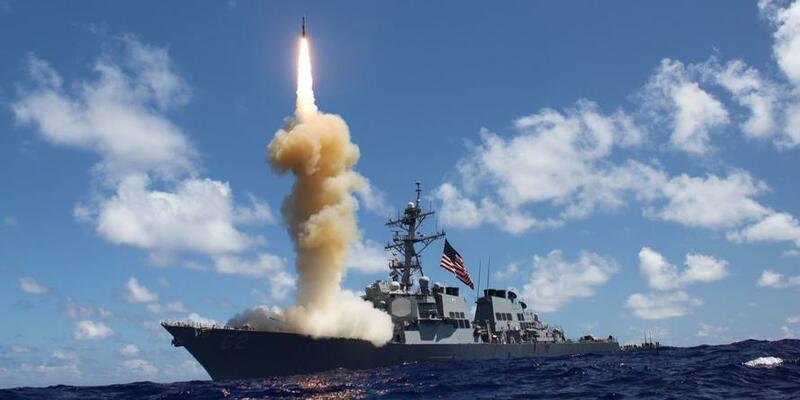 In this context, it is worth reminding the US State Department and the US Department of Defense that on 11 December 2018, while testing the effectiveness of its global missile defence system, US naval forces intercepted a medium-range target that is prohibited under the INF Treaty. This test was America’s 96th violation of the treaty in the past 17 years. In 2019, the Pentagon intends to violate the treaty another 12 times. Doesn’t that seem like far too many US violations of a single treaty when Russia has not violated it once? The above number suggests that America actually withdrew from the treaty a long time, but is brazenly trying to accuse the other party of non-compliance while misleading the entire global community. The country also withdrew from the treaty politically when, at the UN General Assembly in December 2018, it was unequivocally opposed to the adoption of a draft resolution in support of the INF Treaty. Given all these circumstances, it is unlikely that Washington will be able to count on certain trade-offs with Moscow in the sphere of hypersonic systems. Why? Because Moscow will get a whole lot of nothing in return. That’s why any bargaining between Moscow and Washington is simply inappropriate.